This entry was posted on 23rd November 2016 by Dynamic CCTV. 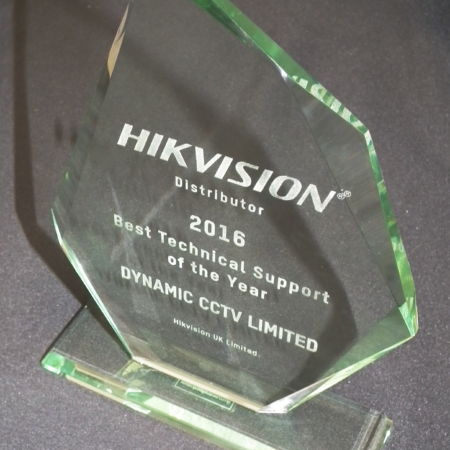 We are very proud of our Hikvision UK distributor award for best technical support throughout 2016. Our technical support department is pivotal to our companies principals of offering the very best product support, this award is testament to the hard work and dedication of our support team which sees us sit proudly at the top of the tree for 2016. If you're not using Dynamic CCTV for your Hikvision requirements then you're missing out on the superb support we can offer you so there is no better time to give us a try and see for yourself.